Dana Marie Lupton is Founder and CEO of Moving in the Spirit, a nonprofit that serves Atlanta’s young people and creates compassionate leaders through the art of dance. Ms. Lupton studied at The American Dance Festival at Duke University and earned a degree in Business Administration from the University of Georgia. 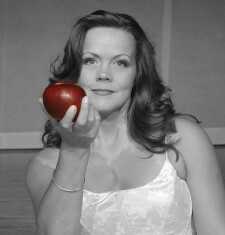 She has performed throughout the United States and Europe, and currently performs with Susan Eldridge’s company, DENSE. As a creator, performer and teacher of dance, Ms. Lupton actively explores and assists others in her community with the exploration of their intrinsic artistic expression, “giving voice” to pertinent social, cultural and personal concerns. Her work is based in the belief that the medium of dance may be utilized to enrich, empower and enlighten people, drawing together individuals of diverse backgrounds and allowing them to learn from one another. She believes this is particularly important for Atlanta’s urban young people and adults who are not afforded such opportunities by current institutional and social structures. In 1986, this belief inspired her to co-found Moving in the Spirit with her collaborator, Leah Mann. Over the past 27 years, Ms. Lupton has received numerous awards for her service to Atlanta’s arts community and youth, including a Lexus Leader for the Arts Award, a Bank of America Local Heroes Award, and the Mayor’s Fellowship for the Arts in Dance Award. Her leadership was recognized by The President’s Committee on the Arts and Humanities, which honored Ms. Lupton and Moving in the Spirit with a Youth Program Award in 2005. Ms. Lupton and Moving in the Spirit were most recently honored in October 2013 with a Governor’s Award for the Arts & Humanities, presented by Georgia Governor Nathan Deal.